The North Alabama SOLIDWORKS Users Group (NASWUG) is proud to announce our October 2016 NASWUG-RSA meeting. The meeting will be held Thursday, November 3, 2016 from 11:00am to 1:00pm, at Redstone Lanes. Please join us as Tom Young, Application Engineer, Trimech, Brian McElyea, Senior Mechanical Engineer with Intuitive Research and Technology Corporation, will present some SOLIDWORKS tips and tricks for working with and managing large assemblies. The North Alabama SOLIDWORKS Users Group (NASWUG) is proud to announce our September 2016 NASWUG meeting. The meeting will be held Thursday, September 22, 2016 from 5:15pm to 7:30pm, at the Dynetics Solutions Complex. Please join us as Brad Williamson, Territory Technical Senior Manager, SOLIDWORKS, NA South, will show some SOLIDWORKS tips and tricks for working with and managing large assemblies. The North Alabama SOLIDWORKS Users Group (NASWUG) is proud to announce our June 2016 NASWUG meeting. The meeting will be held Thursday, June 23, 2016 from 5:15pm to 7:30pm, at the Dynetics Solutions Complex. Please join us as Tom Young and Sam Skinner, Application Engineers with TriMech, will show some Tips & Tricks for SOLIDWORKS focusing on 2016 functionality. New tips, such as Instant 2D, breadcrumbs, smart dimension enhancements, and more will be shown. The North Alabama SOLIDWORKS Users Group (NASWUG) is proud to announce our March 2016 NASWUG meeting. The meeting will be held Thursday, March 24, 2016 from 5:15pm to 7:30pm, at the Dynetics Solutions Complex. Please join us as Brad Williamson, Territory Technical Senior Manager, SOLIDWORKS, NA South, will present. If you’re like many users, you’ve heard the terms DimXpert and MBD but don’t really know exactly what they do or why you should care. In this session, Brad will show how to get started using DimXpert to speed up things you’re already doing to dimension parts and drawings. You’ll see how these techniques extend to Model Based Definition (MBD) as a way of moving toward drawingless manufacturing. Finally, Brad will introduce a new way to try out and learn new software with the SOLIDWORKS Online Product Trial. Everyone in attendance will be issued a free 7 day trial of SOLIDWORKS Premium and MBD that runs completely in a web browser with no software to install. Please check our website at naswug.com for more information and to register. 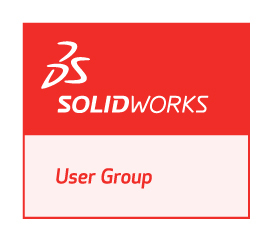 The North Alabama SOLIDWORKS Users Group (NASWUG) is proud to announce our January 2016 NASWUG meeting. The meeting will be held Thursday, January 28, 2016 from 5:15pm to 7:30pm, at the Dynetics Solutions Complex. Please join us as Samuel Skinner, Application Engineer from TriMech, will present on SOLIDWORKS Simulation. The North Alabama SOLIDWORKS Users Group (NASWUG) is proud to announce our September 2015 NASWUG meeting. The meeting will be held Tuesday, September 22, 2015 from 5:15pm to 7:30pm at the Dynetics Solution Complex. Please join us as Brad Williamson, Territory Technical Manager from SOLIDWORKS will give a fast-paced preview of What’s New in SOLIDWORKS 2016 that is sure to whet your appetite for your local VAR’s What’s New Launch Event. Brad will also give a demonstration of the new SOLIDWORKS Industrial Designer, a component of the 3DEXPERIENCE platform. Please click here to RSVP. Please note that you do not have to print a ticket for entry, there will be a sign-in sheet to record attendance. The North Alabama SOLIDWORKS Users Group (NASWUG) is proud to announce our July 2015 NASWUG meeting. The meeting will be held Thursday, July 23, 2015 from 5:15pm to 8:00pm at the Dynetics Solution Complex. Bill Beam will demonstrate his own design of a metal stamping die to form a pilot hood for a gas furnace. Robert Conklin will demonstrate weldments by showing a current design of a conduction-cooled electronics enclosure. Randal Holt will show off a model of a MakerBot Replicator 2X he made for a college project, including a Photoview 360 rendering and animation. He will talk about some of the features used and how he created custom appearances and decals, as well as some of the frustrations of using SOLIDWORKS for animation. And speaking of Photoview 360… It is a coincidence that following the user presentation contest, Matt Lyle, Application Engineer at Concepts In Production, will give a short photo-rendering presentation and be able to answer any rendering questions you may have. We would like to extend special thanks to our local VAR’s, Concepts In Production, MLC, and ModernTech, for their generous support of special prizes for our user presentation contest! The North Alabama SOLIDWORKS Users Group (NASWUG) is proud to announce our June 2015 NASWUG meeting. The meeting will be held Tuesday, June 23, 2015 from 11:00am to 1:00pm at Redstone Lanes. Please note that you must provide your own access to Redstone Arsenal. Please join us as Brad Williamson, Territory Technical Manager from SOLIDWORKS will give a demonstration of SOLIDWORKS Inspection and SOLIDWORKS MBD. SOLIDWORKS Inspection is a First Article Inspection (FAI) and in-process inspection software that streamlines and automates the creation of ballooned inspection drawings and inspection reports. SOLIDWORKS MBD is an integrated drawingless manufacturing solution for SOLIDWORKS. It helps companies define, organize, and publish 3D Product Manufacturing Information (PMI) including 3D model data in industry standard file formats such as 3D PDF and eDrawings®. Come and see how these two products can work together to increase productivity and improve the efficiency of your design and manufacturing tasks. Please click here to RSVP (please note that you do not need to print a ticket). This is a great opportunity to network with fellow SOLIDWORKS users, gain valuable information, and eat free food! The North Alabama SolidWorks Users Group (NASWUG) is proud to announce our March 2015 NASWUG meeting. The meeting will be held Thursday, April 16, 2015 from 5:00pm to 8:00pm at the Dynetics Solution Complex. Please join us as Matt Lorono, Product Definition Manager from SolidWorks, will give a demonstration of SolidWorks MBD. SolidWorks MBD is an integrated drawingless manufacturing solution for SOLIDWORKS. It helps companies define, organize, and publish 3D Product Manufacturing Information (PMI) including 3D model data in industry standard file formats such as 3D PDF and eDrawings®. Unlike traditional 2D drawings, SOLIDWORKS MBD guides the manufacturing process directly in 3D, which helps streamline production, cut cycle time, reduce errors, and support industry standards such as Military-Standard-31000A, ASME Y14.41, ISO 16792, and DIN ISO 16792. The North Alabama SolidWorks Users Group (NASWUG) is proud to announce our March 2015 NASWUG meeting. The meeting will be held Thursday, March 19, 2015 from 5:00pm to 8:00pm at the Dynetics Solutions Complex. Please join us as Dana Parrish and Ramesh Lakshmipathy from SolidWorks will give a demonstration of SolidWorks Simulation. SolidWorks Simulation enables users to efficiently evaluate performance, improve quality, and boost product innovation.